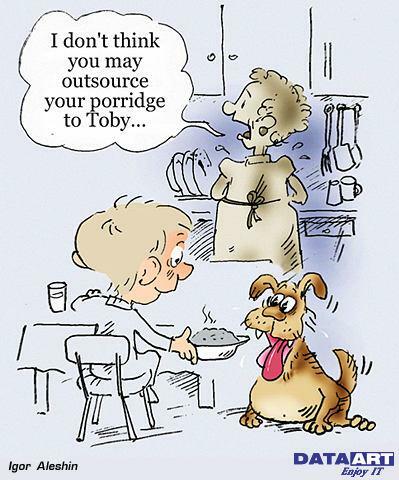 You’ve heard about it, and are wondering what the advantages of outsourcing are? Why all the buzz? You may have a knee-jerk reaction to it, but I want you to slow down here. Don’t throw the baby out with the bathwater! You may only think about outsourcing as having the customer service of your cell phone company or computer company outsourced to an Asian country. That isn’t all it’s about, so let me share the skinny on it with you. As you are spinning your wheels, dealing with overwhelm, and have you wondered HOW the guru’s do it all? And so effortlessly and well? Let me let you into a secret – they don’t do it all! It’s simply not possible to, not with the same 24 hrs to the day we all have. Here is what they ALL do – and I am quite confident in that statistic. -They OUTSOURCE! Yep – you read that right. OUTSOURCING may be what you need to get you out of overwhelm and into increased productivity and profit. In our online business, outsourcing simply means DELEGATING – giving someone else the task of doing what you COULD be doing but probably shouldn’t or can’t. That may mean outsourcing the task to someone else in your home, office or as far as the other side of the world. You’re looking for someone (or something – software, for example) to do the same task faster, better & more efficiently. Why would you crunch those numbers for your payroll yourself when you can get it entered into a spreadsheet and, by hitting the right button, all the figures you want are spit back to you? Neither do you have to set it up or enter the data yourself – outsource it! You’ve now freed up the time you would have spent labouring over entering the data, formatting the spreadsheet correctly to do something more productive, such as analyze the impact of the figures from the spreadsheet, and in enough time to make a difference. After you’ve spent so much time feeding in the data, designing the spreadsheet and looking over manuals to make sure you don’t make a mistake which will invalidate the figures you entered, time has flown by, and the reason you did it would probably have faded in the background as you’ve missed yet another deadline. Sounds familiar? You want to focus on activities that make you money – bring in the profits. Anything else is not really a good use of your time. Why? What are the advantages of outsourcing? You get MORE of everything that matters to you and your business, that’s why! More Productive: This is the most obvious reason. Increased productivity is linked to increased profits, so that should get your attention. This happens because the more mundane and repetitive things are done faster, and by someone else, so you can get out more: more articles, products etc in the same amount of time as someone who insists on doing it all. More efficient: You get things done faster. We’ve already said it – Money Loves Speed. If you can get your product or service or opportunity out there faster than the next person, you have a real headstart that the next person has to overcome just to get a foot in the door. If you can get that headstart, why not take it? More effective: Get things done better. Since you now have the advantage of getting things done faster, you can use some of that time to make your product or service even better, creating an even larger gap between your product and that of other people doing something similar. Stack the odds in your favour as much as possible! Cost-effective: This is the real result behind outsourcing – when it all comes down to it, you will be producing more of your top quality products in less time than will take just you going through all the steps yourself. The ROI (return on investment) is therefore much better. It just makes sense to outsource! More time to do the things you enjoy: Lifestyle, Time-Freedom. Now, isn’t this is why you’re doing all you are doing? – To get more time to do the other things you really want to do. This could also be in the parts of your business that you enjoy tinkering around in. It could also be to create more free time outside of work to do other things – to spend more time with family & friends, travel, get involved in a pet project and more . Whatever takes your fancy – choices! Having more time allows you to design the life you want. You can’t outsource everything – otherwise there really would be no advantage to anyone doing business with you. 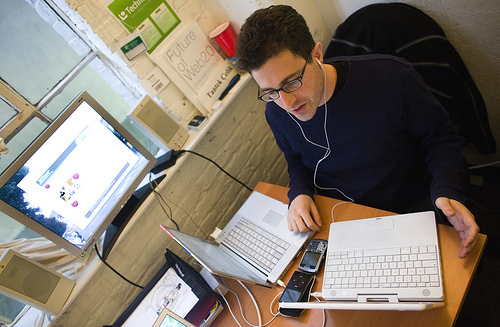 There are certain core things you’ll continue doing, but outsource other things. I’ll continue that in another article, so be on the look out for it. Why not develop a great online business that you can scale up, and outsource the tedious bits and enjoy the other bits? *****Join our team, where we are using a proven successful online model that you can customize to your own needs. **PS: I was a touch under the weather when I shot the video, as you may be able to tell, but the content is so much more important than what I felt or looked like, and that is why I left it like it is – that’s real life!